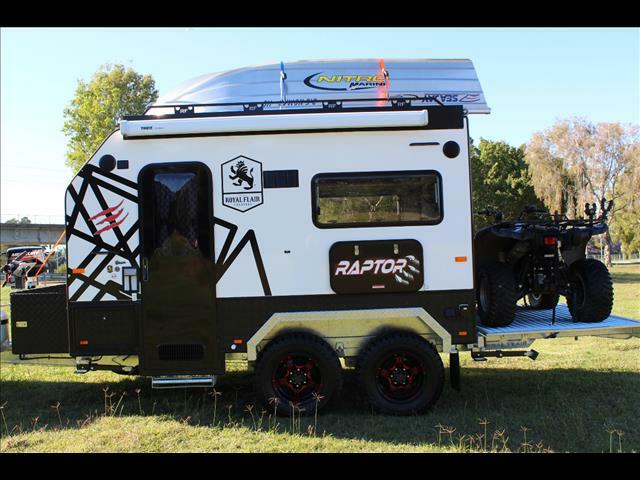 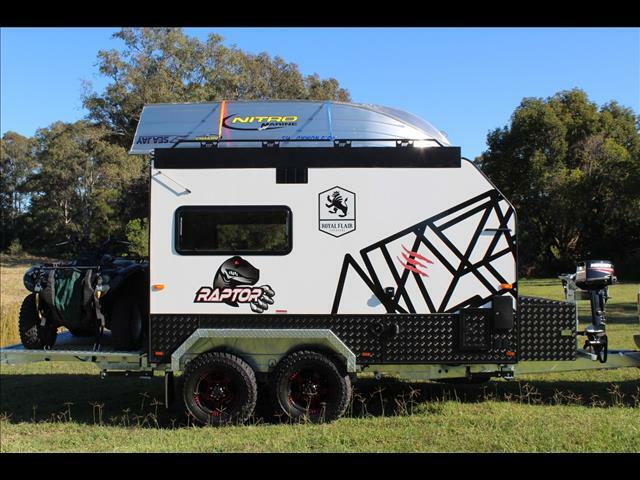 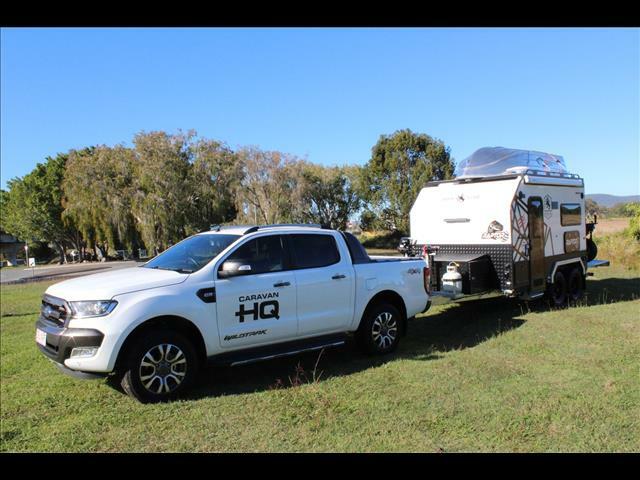 The 2018 Royal Flair Raptor Off Road Caravan has a proven 3500 kg rated chassis and independent suspension system by G&S Chassis, the leader in caravan chassis. 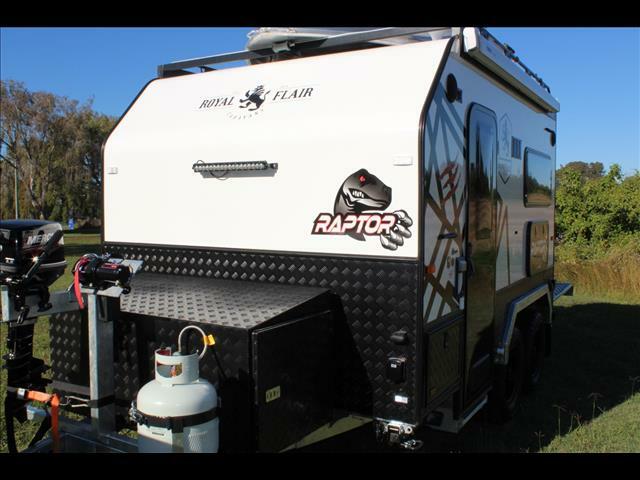 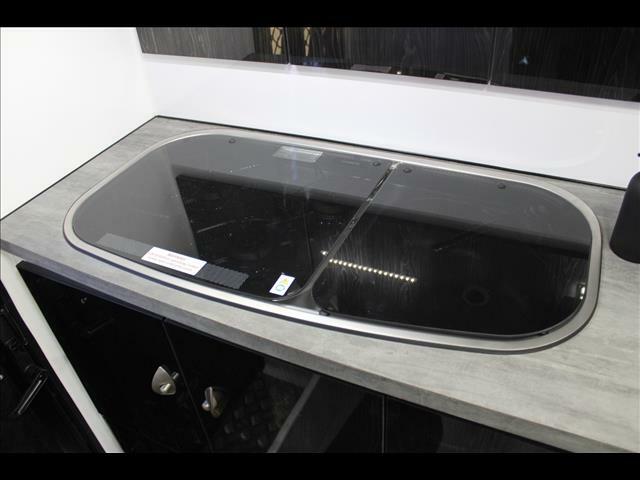 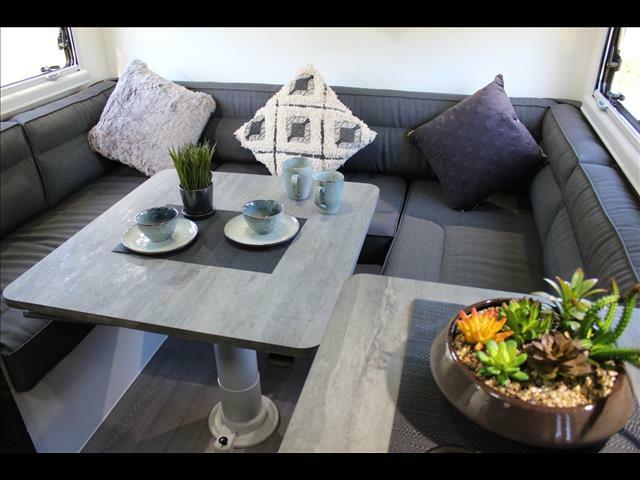 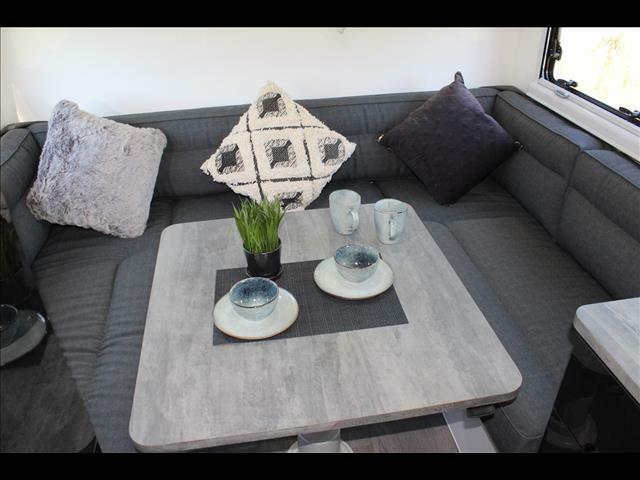 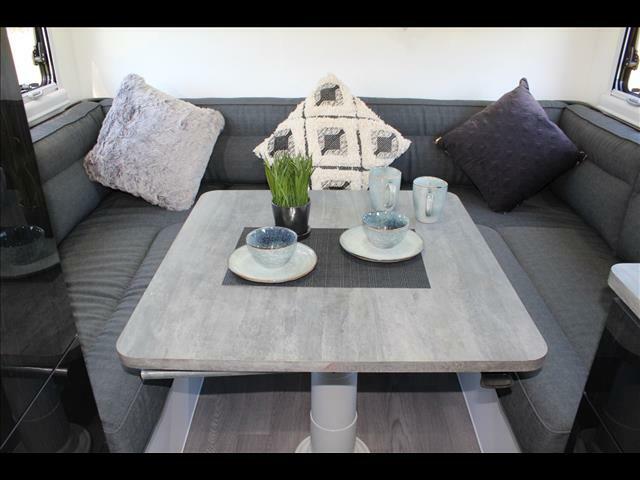 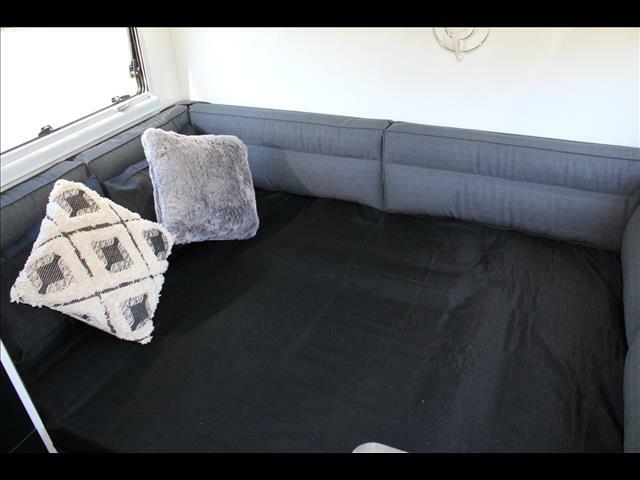 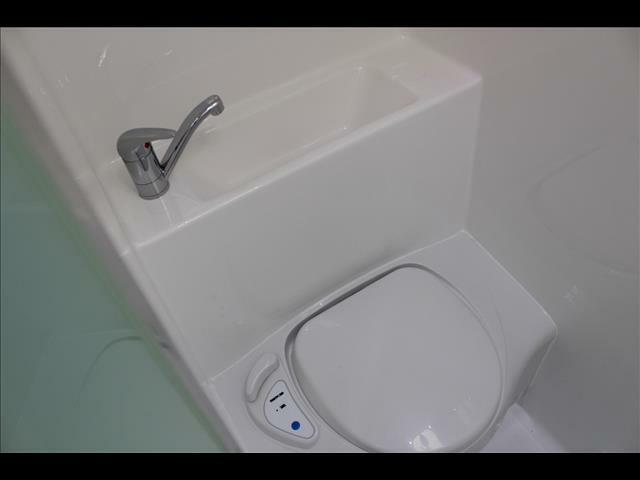 The Royal Flair Caravans Raptor is a fulloff road caravanthat has been designed to travel the harshest conditions Australia has to offer, it has a one piece composite wall, roof, front and rear wall construction along with a one piece Honeycomb Composite floor panel. 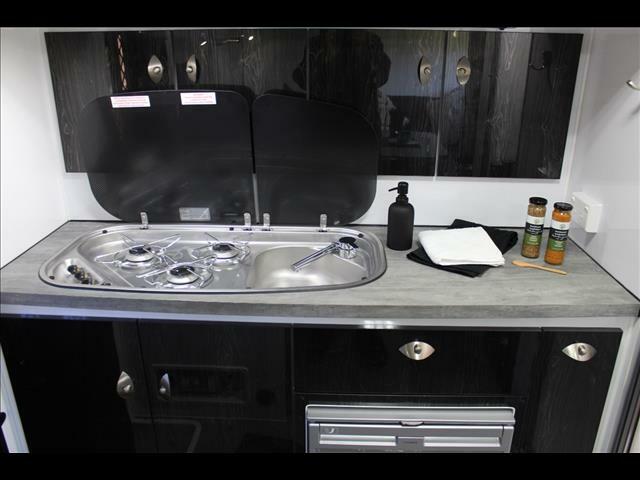 Not only is the Royal Flair Caravans Off Road Caravan tough and reliable, it is also as comfortable as a 5 Star Hotel. 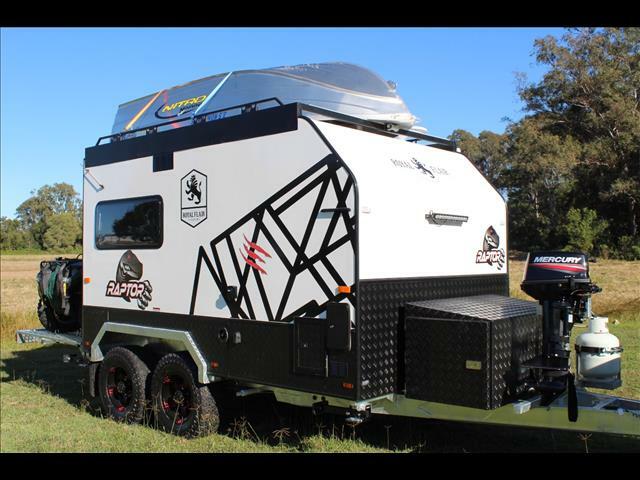 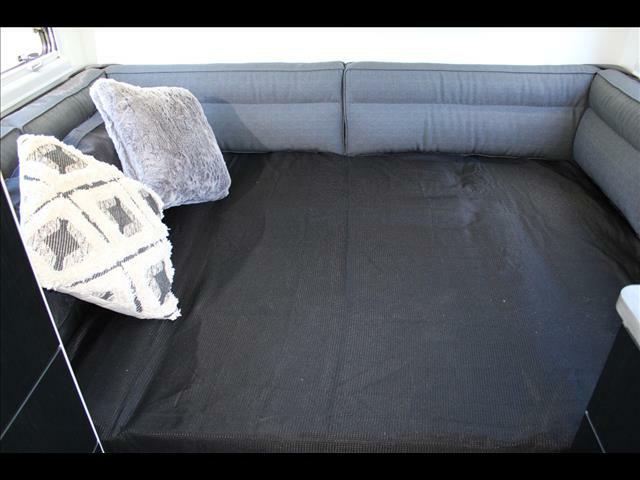 It has Ducted Air Conditioning, top of the range stereo system, full size Queen bed, DVD/TV combo and full size fan. 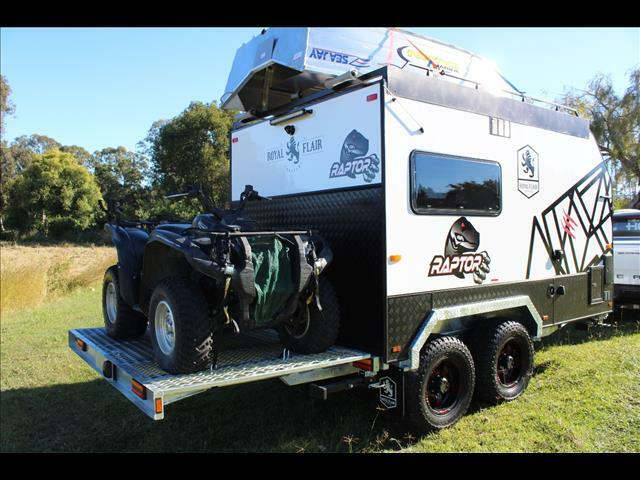 This 13&apos;6 Royal Flair Off Road Caravan is available in pop-top or standard roof, it has the air conditioning mounted internally to allow for more clearance when off road. 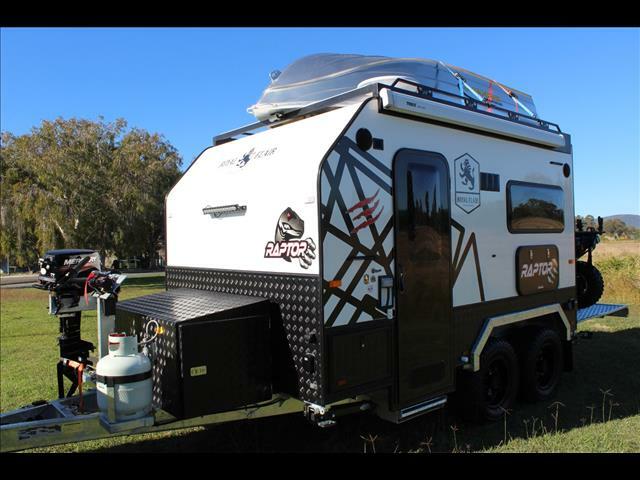 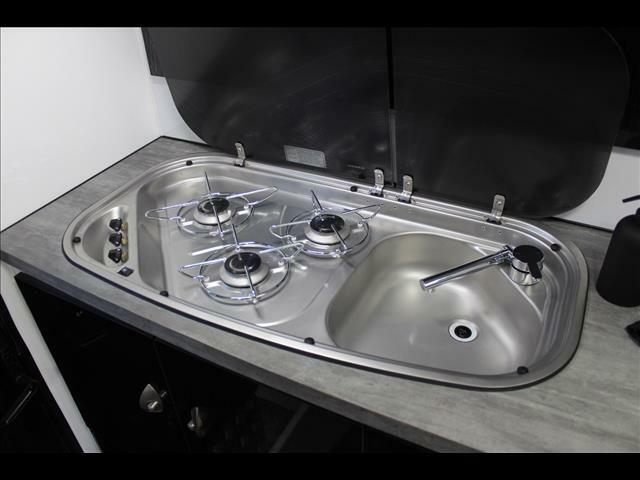 Royal Flair Off Road Caravans are proudly built in Melbourne and are backed by a 3 year manufacturers warranty. 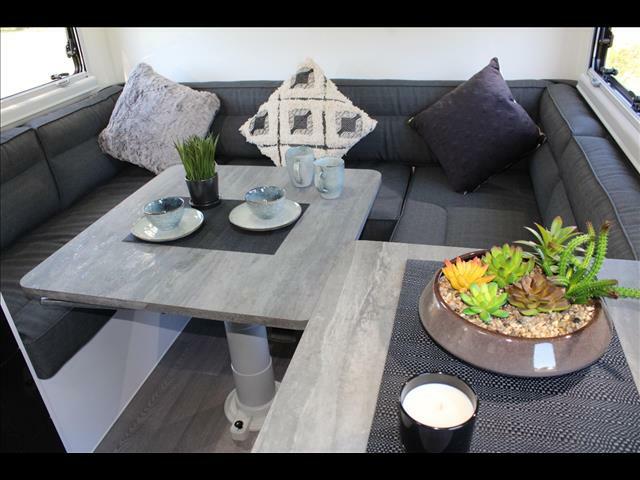 Royal Flair Caravans have been building caravans since 1975 and have a reputation envied by many. 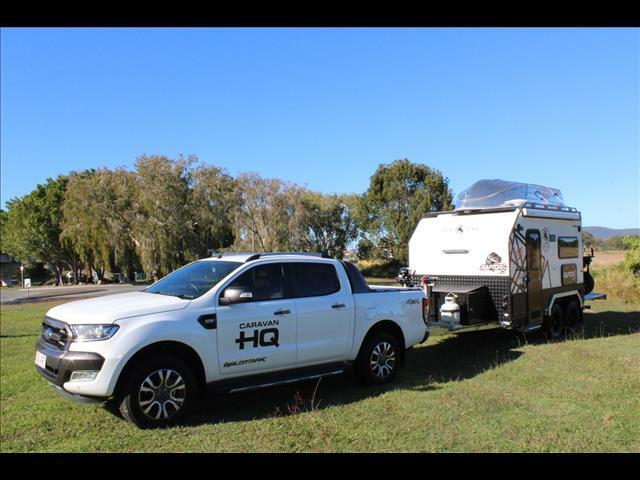 Contact us to discuss all your personal requirements for your next off road caravan. 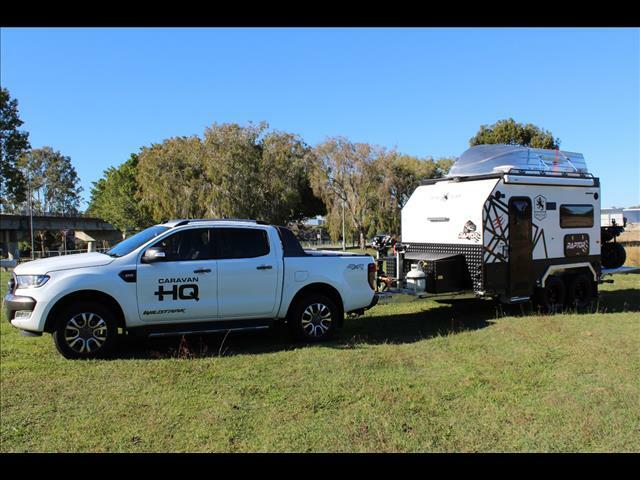 We offer fast and easy finance and can trade or consign your current caravan or camper trailer.